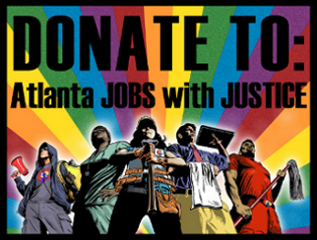 Atlanta Fast Food Strikes Dec. 5th (D5) ! This Thursday December 5th fast food workers in Atlanta will be going on strike. Fast food workers are demanding $15/hour and an end to retaliation against workers who choose to organize. Fast food workers are taking some risk here and support from the Atlanta community will help to give them more protection. In Atlanta we are building all of the low wage worker campaigns together. We believe that Walmart workers, campus food service workers, adjuncts and all other low wage workers must unite to raise the floor for everyone. There will be campus food service workers and other low wage workers standing with the fast food workers on Thursday. The event times and locations are now PUBLIC so please spread the word to your networks and invite your friends to the Facebook event!